Every year our children's school collects 'Pennies for Pudsey'. The hall is home to a giant outline of Pudsey Bear and the children take in all of their spare change to fill inside the lines. This is a fantastic way to donate money to a worthy cause and our children enjoy saving their pennies throughout the year especially for the occasion. This year, the collection co-incided with a 'Superhero' themed day and the children were asked to attend school dressed as their favourite superheroes. For those who don't know, Wonder Woman is a Warrior Princess of the Amazons. She is gifted with a range of Superhuman powers with amazing combat skills and battle skills. She sounds just like Heidi! Our walk to school was rather wet and rainy but this didn't put Wonder Woman off. 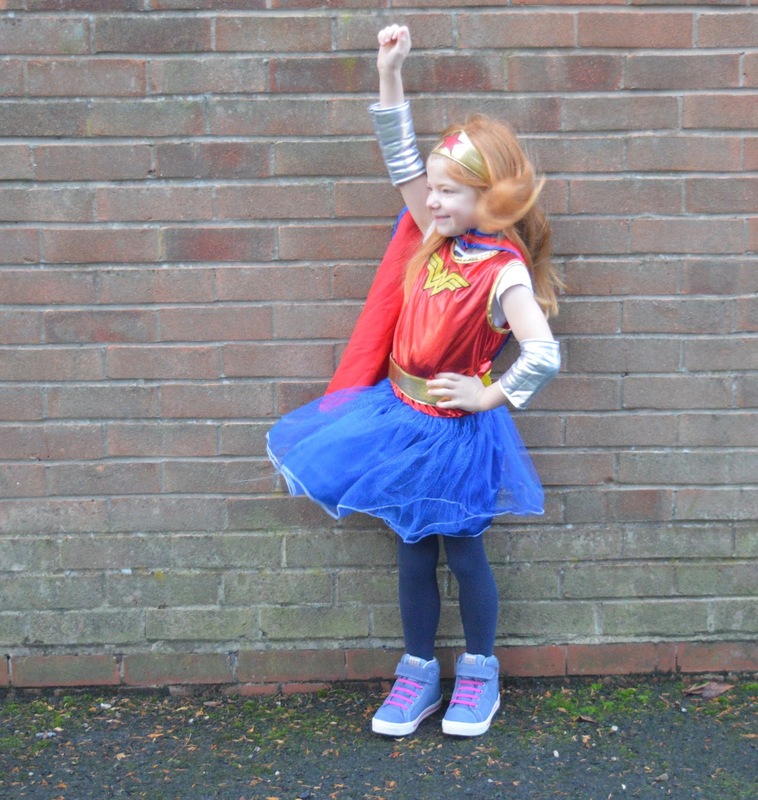 As a Gore-Tex shoe ambassador, she was keen to put her new shoes through their paces. Thanks to their guaranteed waterproof and breathable inner lining, Wonder Woman's Gore-Tex shoes managed to keep up when she was running super fast and kept her feet nice and dry as she jumped over puddles during her walk to school. 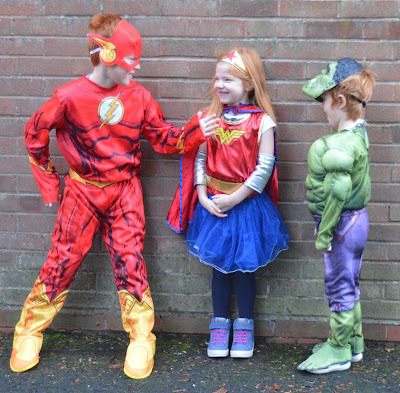 Do your children have any special superheroes they like to dress up as? Or are their school supporting children in need in another way? I'd love to hear from you. Fingers crossed our school manages to raise over £100 like last year. 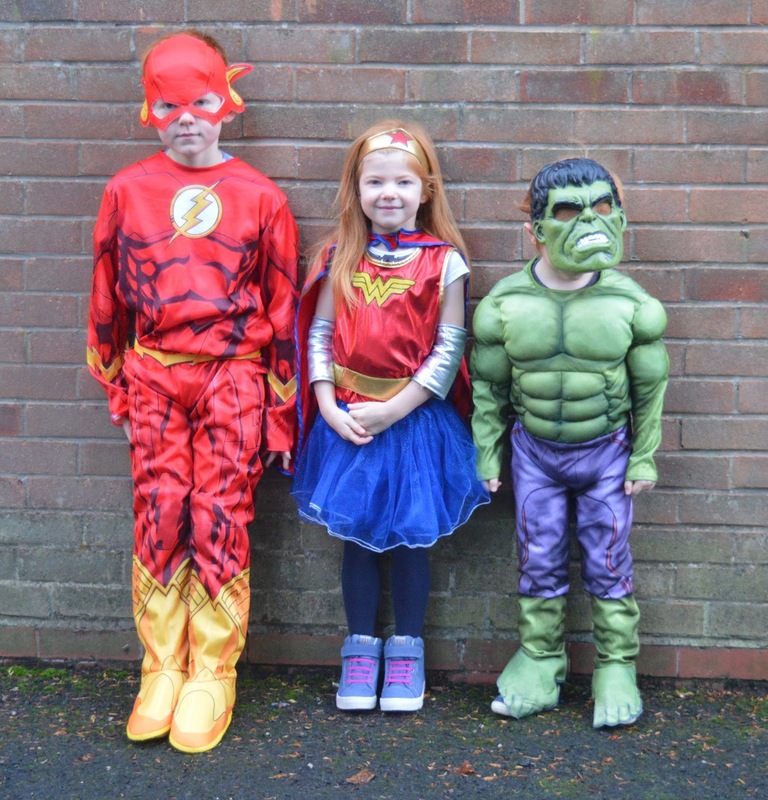 We dressed as super Herod last year and I just made the kids costumes (cos you know I'm like wonder-mum with nothing better to do! ) 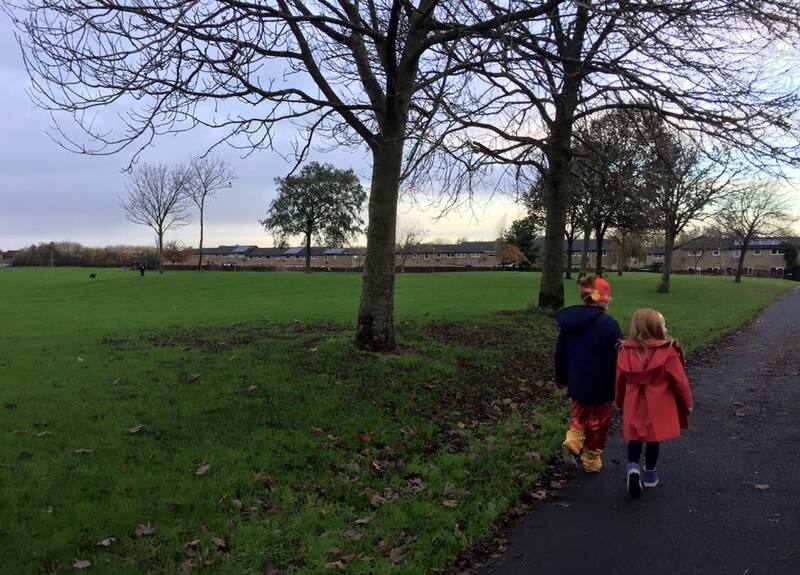 but my littlest went to nursery as captain America this year and she looked so cute!